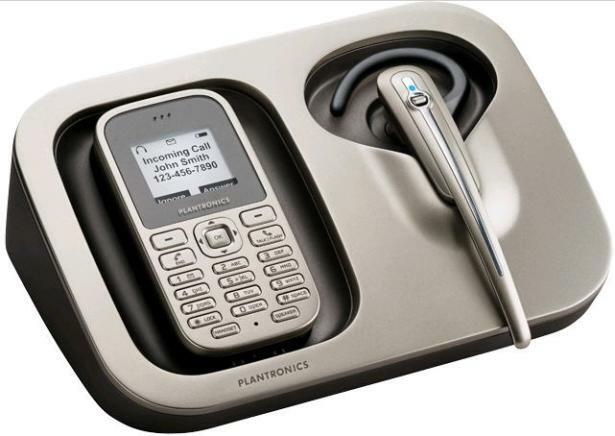 I have had a few months to use the Plantronics Calisto Pro Series wireless telephone and bluetooth headset and I remain tremendously impressed by this solution which I say is perfect for the small business who wants maximum flexibility with excellent call quality. As a side benefit you get a phone which looks pretty slick.... More like a cell phone than home phone. In addition to the typical phone features you expect like Caller-ID, etc. it can also download Microsoft Outlook contacts and has a 300 foot range thanks to DECT 6.0 technology. In addition you can use the cordless phone, speakerphone or wireless headset with Skype or other VoIP service. I didn't perform a battery drain test but based on my use I can't doubt the claimed talk time of eight hours. Also, it is worth pointing out a notable feature -- the "save to phonebook" option which asks you to save telephone numbers you dial and also prompts for a name, etc. The headset incorporates bluetooth v1.2 technology and I have been able to successfully test the headset about 20 feet away from the phone -- through three walls -- with only a slight bit of static. Traditional bluetooth headsets couldn't make it through one wall in my experience. If I had to give room for improvement I would ask for a color screen but this would likely come with lower battery life. Speaking of battery life, the phone is a bit thick -- about the size of a thick bar of soap and this is probably why the battery life is so good. I should also mention the phone is surprisingly light for its size. With a street price between $200-$250, think this product represents great value -- VoIP calling, DECT 6.o wireless -- Outlook integration, a great design. I would certainly recommend it to any small/home business looking for a flexible and reliable solution. One final point is this phone system could be a look at the future direction (the suspense is killing me) the company is planning to take. We may see more Plantronics products which go beyond the headset very soon. If the Calisto Pro Series is the first step, I can't wait for the rest of them.